This one came through the inbox last week. Aside from Calski, I haven’t heard much from any of the MCs to be honest. Impressive stuff. Nice beat with some solid bars and an overall well mastered sound. Looking forward to hearing some more from these guys. P-Smurf, Master Wolf and Nix spit fire over Calski’s beat, questioning everything on false reality TV and reflecting the general discontent with mainstream media. Nothing is safe. 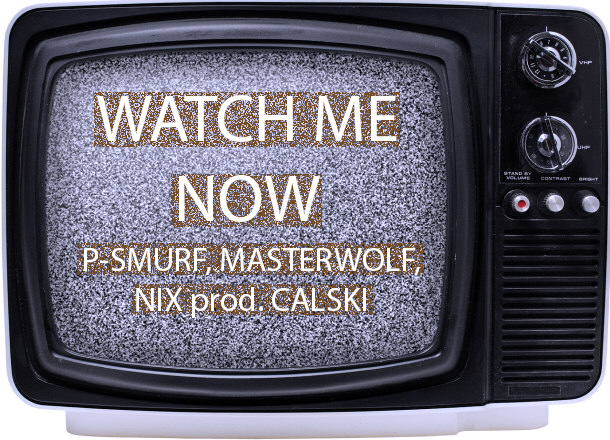 Posted on July 21, 2015, in LOCAL KNOWLEDGE and tagged Calski, Masterwolf, New Single, Nix, P-Smurf, Watch me Now. Bookmark the permalink. 2 Comments. Yeah Werd. Haven’t checked much out of this fella purely based on his name. Checked it out and yeah it’s pretty good hey! Hahah I thought the same thing. Dude can rap though.